This week I’ve been thinking a lot about how to actual see where we are in our learning journey. 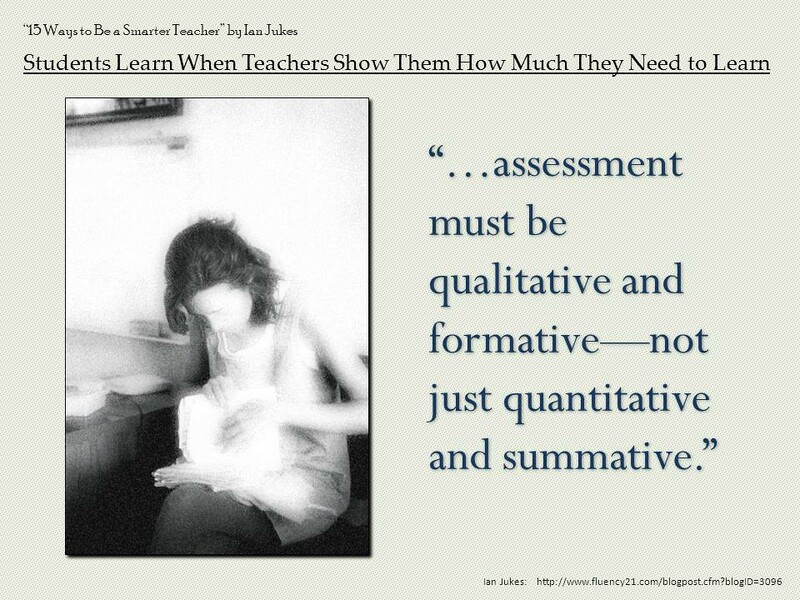 I know that many schools have a focus on quantitative data. We use standardised tests to make sure we are learning at the right time. We focus a lot on quantitative data because it is easier to show a big picture with lots of data at the same time (I think anyway). So, how can we present more personal qualitative data to parents. Right now we are entering conference time, and we want to share the stories and make it personal, so I wonder how our teachers are doing that, and what the parents are thinking. I was reading this article about Modern Learning and wonder how we can use qualitative data more effectively. We can use it to paint a bigger picture and a more complete story, but how do we use it to enhance our teaching practice. How do we use it to drive inquiry? Way too many questions this week.